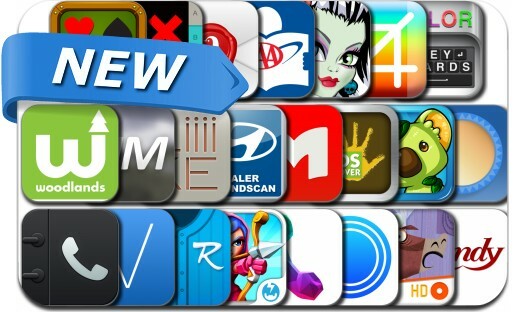 iOSnoops is constantly on the lookout for new apps, and here are 23 iPhone and iPad apps that were released recently. This new apps alert includes Kingdom Clash, Ark Mail, Monster Match, Marvin, Call Blocker App, LiiiiKE, iWhitelist Contact, Color Keyboard, Composed, Rookies Create Your Own Pack of Personalized Baseball Cards and many others. Ark Mail is a mobile email client that displays social information about anyone who emails you, including photos, title, and their social networks. Ark Mail syncs with Yahoo, Aol, Gmail or Google Apps email accounts and is powered by the Ark Social API.